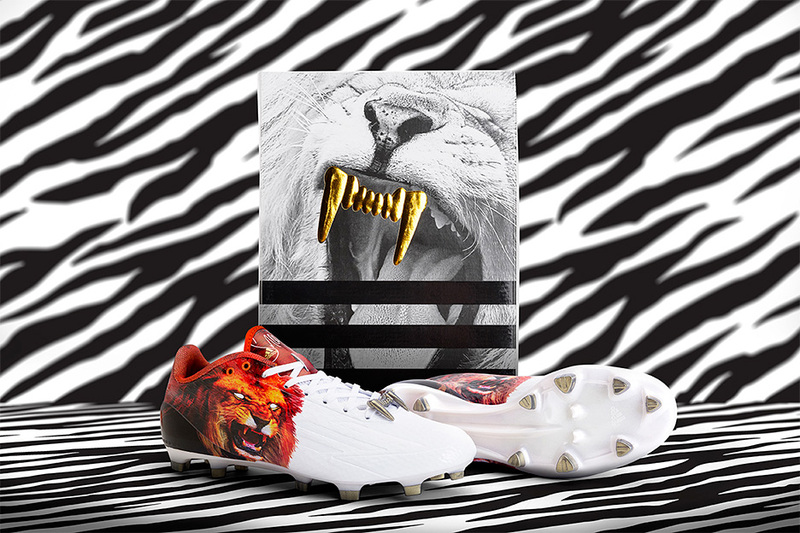 The sports equipment manufacturer adidas and the famous rapper Snoop Dogg unveiled a new, limited edition, Snoop Lion football shoe, featuring gold cleat tips and a roaring lion print. 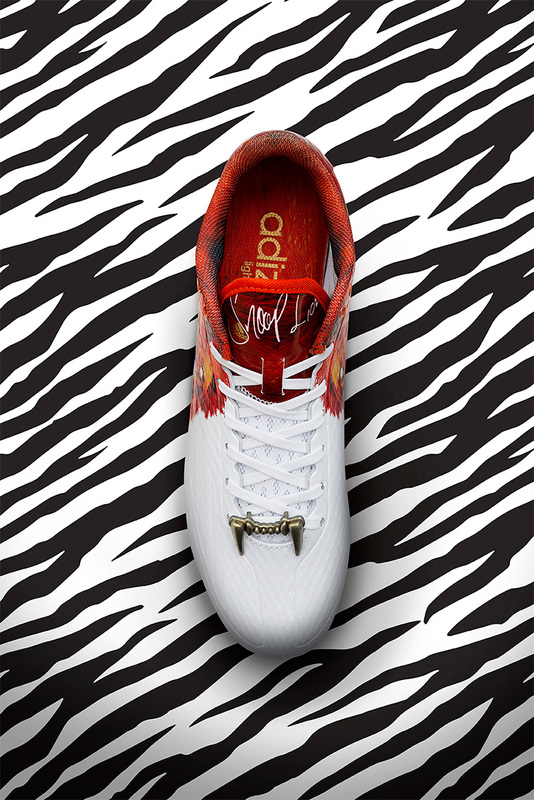 The shoe is the adizero 5-Star model, mostly white in color with a red lion illustration on the heel and the Snoop Lion signature across the tongue. The shoe also has a lion tooth grill lace jewel, modeled after one of the rapper's chains. 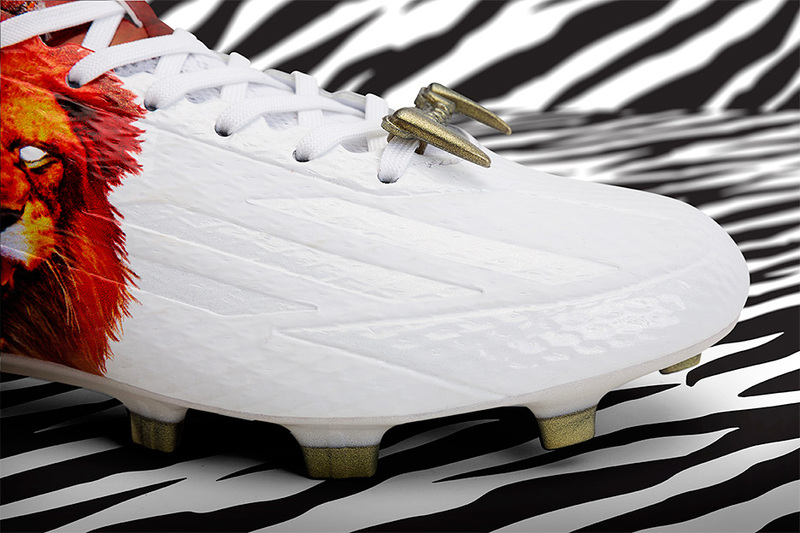 "The cleats are not only made for top performance, but specially designed by me - so get ready to be suited and booted, dipped and whipped like me." 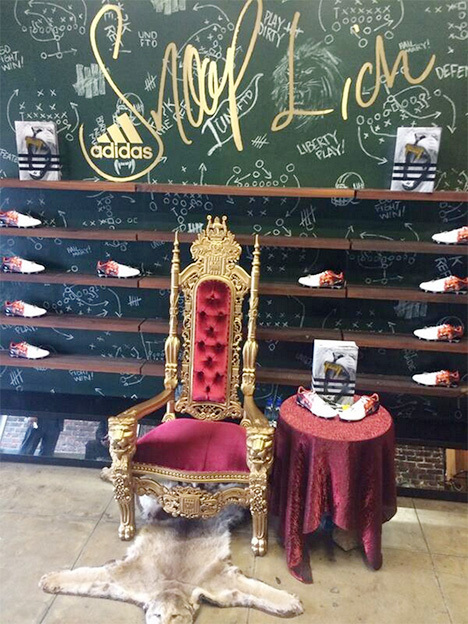 The adidas Snoop Lion shoes cost $120 and they will be available exclusively at Undefeated's La Brea store in Los Angeles, California, from 10am - 12pm on Friday, June 27th. Snoop will be there too, signing autographs and taking photos.